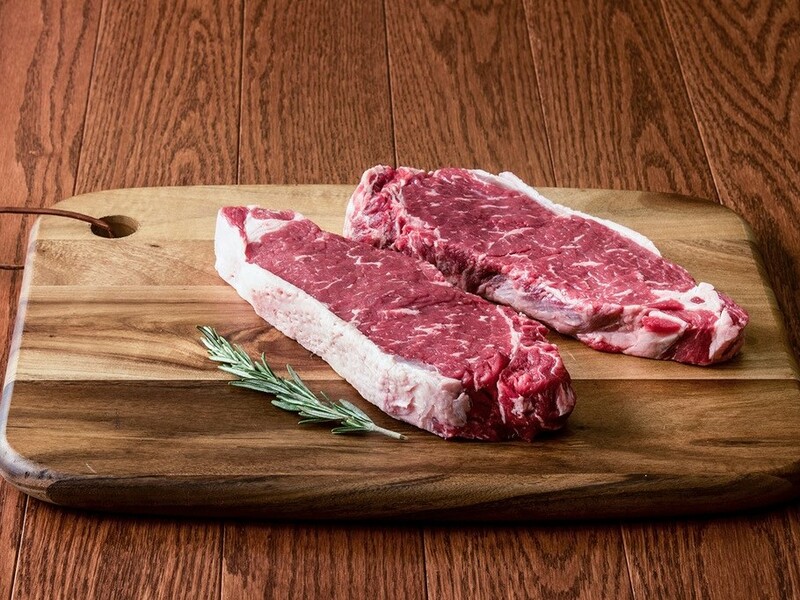 Buy New York Strip Steaks online with HarvestBox! Byron Center Meats' grain-fed USDA Choice New York Steaks are ready for your grill. Hand cut and perfectly trimmed for a delicious center-of-the-plate dining experience. 4.5 pounds. 6 Servings.